Join us at an exciting Book Launch at Open Cell on the 6th of February from 6-9pm. Zero to Genetic Engineering Hero by Julie Legault and Justin Pahara, founders of Amino Labs. Julie Legault will talk about her new book at 6pm at Open Cell. Afterward, you can grab a drink, browse through the book, get your own copy and get your private copy signed by the author! We furthermore will showcase some exciting kits from Amino Labs. The world's first beginner's guide to genetic engineering is here! Zero to Genetic Engineering Hero guides new aspiring scientists on a journey of real-world, hands-on genetic engineering experiments that teach real experimental techniques and the first principles of biology. Upon completion of the book, learners have a strong understanding of genetic engineering and can begin their own synthetic biology and biodesign projects. 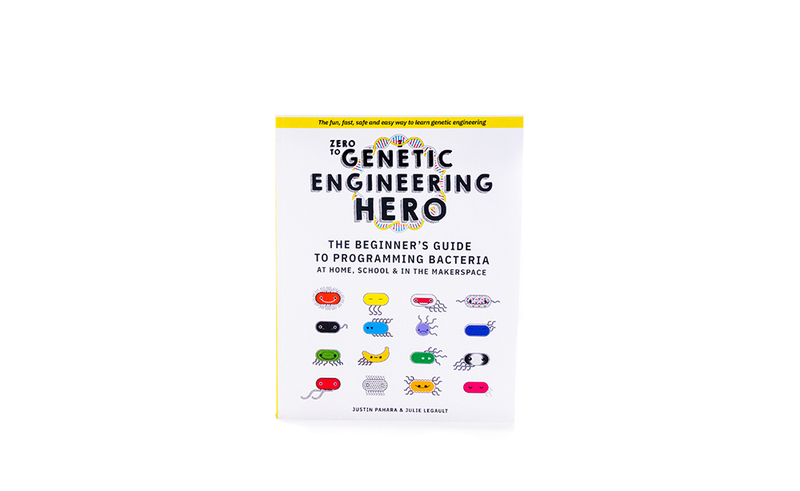 Written for secondary school education, iGEM teams, and at-home learning, Zero to Genetic Engineering Hero is seven chapters of DNA and bacteria-based activities, virtual simulations, pro-tips, and more than 130 color illustrations. This book replaces the need for an expert teacher with university training and enables a new generation of education in genetic engineering. Zero to Genetic Engineering Hero Author Julie Legault is a graduate of the Massachusetts Institute of Technology's Media Lab and the Royal College of Art ’s School of Material and is an expert in transforming complex technology into experiences for non-experts. Justin Pahara is a graduate from the Department of Chemical Engineering and Biotechnology at the University of Cambridge and has more than a decade of experience in synthetic biology and genetic engineering.